NO HOA'S. Built green to Colorado standards, this townhome features active solar heat and hot water, green certified windows, and Energy Star appliances. The high-end finishes include 9-foot ceilings, hand-troweled walls, granite countertops, slate and tumbled stone entryway, knotty alder cabinets, travertine slab bathroom counters, and hand-scraped walnut flooring. 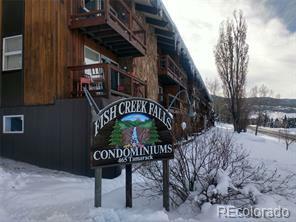 Amazing ski area and valley views, conveniently located between town and the mountain on the free bus route.